The Cyprus Securities and Exchange Commission (CySEC) just revealed today that it took several measures against CommexFX in the past. 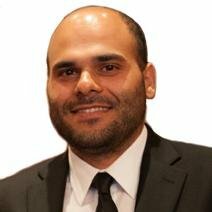 CySEC announced its board ruled on November 11, 2013, to impose an administrative fine of €30.000 on Abdel Rahman El Amary and another fine of €100.000 on CommexFX. Last month, the financial watchdog announced it suspended the license of the firm over alleged violations that might possibly endanger clients’ interests and gave CommexFX fifteen day to take actions in order to comply with its regulation. After the time had passed and CommexFX did not comply, its license was further suspended. CommexFX is a brokerage operating mainly in Egypt and China as well as other Asian markets. Abdel Rahman El Amary is the firm’s director as well as its owner. Among the reasons listed today by CySEC for the fine on CommexFX it mentioned: “One of the persons who headed the company through June of 2013 did not have the necessary good repute so as to ensure sound and prudent management,” likely referring to El Amary. Another noteworthy reason listed by the regulator is that the company has “not taken all possible measures to protect the interests of customers and prevent the use of customer funds for its own account.” This is because it did not keep the necessary files to separate client assets held for one client from assets held for any other client, and from its own assets. CommexFX was also accused of providing “false and/or misleading information” that may hamper the ability of the regulators to carry out investigations necessary to ensure the proper functioning of the financial market and to maintain public confidence in it. The same offence appears in the ruling about El Amary, where CySEC adds that the seriousness that the legislator gives to such violations is reflected by the amount of the administrative penalty allowed by local law for such offenses. Great news that license is suspended, but what about the traders that lost their money. They still owe me $8000 and I’m just one trader. A €30k fine for Abdalrahman Alimari is a slap on the wrist….he stole millions from his own traders!?!? part of me hopes that this in some small way helped spur the investigation. I did email Cysec a lot, but they never responded…. And they ran contest after contest to try to legitimize themselves. In fact, they had a recent one with CBF. So they impose the fines in 2013 and announce them in 2015…..
the cif should pay to clients if the broker didn’t pay ! did this case ever happened in all cysec history ? why they don’t pay us ?